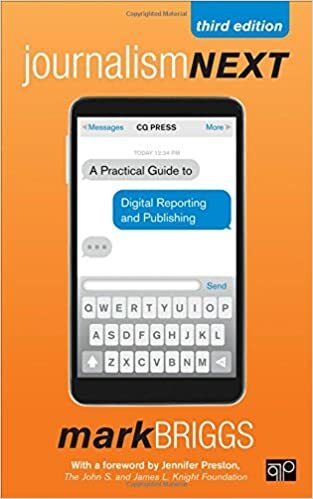 Mark Briggs is the author of Entrepreneurial Journalism, a book about the rise of journalism startups and how to start your own journalism business. It was published by CQPress and released in October 2011 (Amazon link). 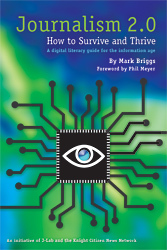 Briggs is also the author of Journalism 2.0: How to survive and thrive in the digital age which was published by J-Lab and the Knight Citizen News Network in 2007 and downloaded as a PDF more than 200,000 times in English, Spanish and Portuguese. Briggs has served as the director of digital media for KING 5 in Seattle since 2010 and served as a Ford Fellow in Entrepreneurial Journalism at The Poynter Institute from 2010-2012. Previously, he co-founded Serra Media, a Seattle-based technology company, and spent nine years running newspaper websites in Everett and Tacoma, Wash.
As part of his mission to help journalists transform in the digital age and leverage the power of digital/social/mobile media, Mark has served as a speaker, trainer and consultant for various projects around the U.S., Europe, and the Middle East. He spoke at SXSW Interactive in Austin in 2010, 2011, 2012 and 2013. In May 2010 he was named one of 20 Journalists to Follow by Quill, the magazine of the Society of Professional Journalists. Briggs is also co-founder of Fork, an iPhone app for food photography that launch in Sept. 2013. 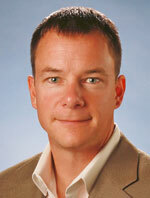 You can find him on Twitter, LinkedIn or via email at contact@journalism20.com.